Mobile devices are popular and well used in nearly every aspect of life. For those that love the outdoors, or those that have a busy schedule, it can sometimes be a burden to manage battery life and charging. myFC, a leader in micro fuel cell technology, has developed a new portable hydrogen fuel cell to help those in need of a charge. The fuel cell, dubbed PowerTrekk, makes use of both battery and hydrogen fuel cells to provide energy for chargeable mobile devices. 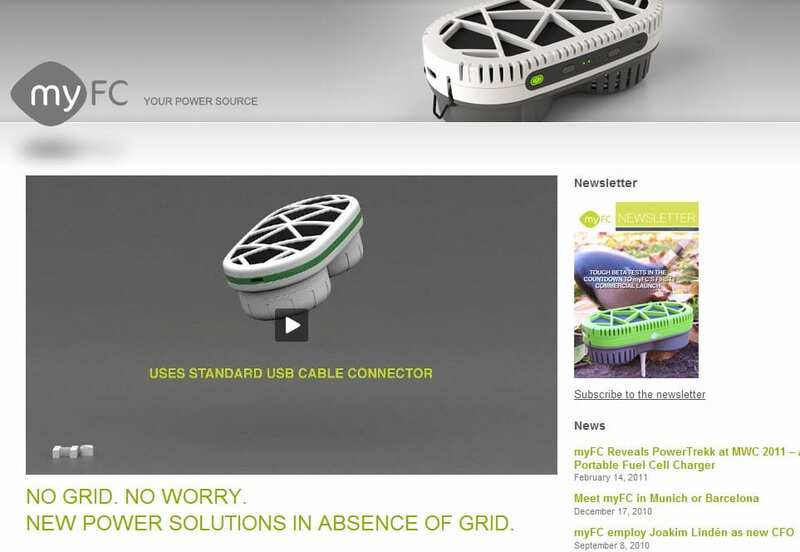 PowerPukk uses power from the battery as its primary source of energy. The battery itself is rechargeable, drawing upon the electricity generated by the fuel cell. PowerPukk is the name of the hydrogen fuel cell and is engineered by SiGNa chemistry. The Pukk is can be replaced when exhausted and will come in packs of 5 or 10. The cell uses a non-flammable powder, sodium silicide, which produces hydrogen as a reaction to water. The cell is designed to recapture the heat produced during the conversions to cut down on energy consumption. only byproduct being a small amount of water vapor. The cartridges used in the PowerTrekk for both the battery and fuel cell are able to be recycled at the end of their operational lifetime. myFC participates in an industry program for reusing materials that are strong enough to prevent the leakage of chemicals but environmentally friendly.